Elvis at Sun album for sale by Elvis Presley was released June 22, 2004 on the BMG Heritage label. Cited by many historians as the definitive documents of rock and roll's earliest era, Elvis Presley's Sun recordings are cultural milestones arguably as influential as any American music ever created. 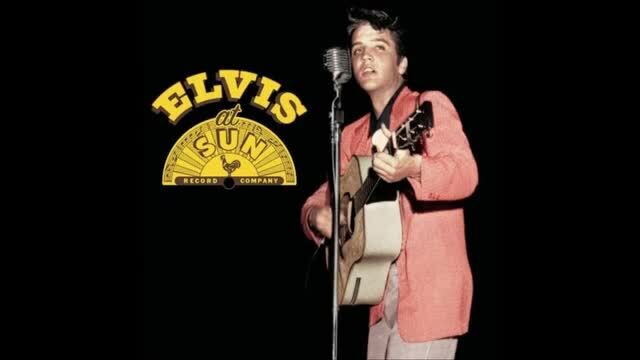 Elvis at Sun supplants The Sun Sessions as the most comprehensive and well-researched single-disc collection of these historic tracks (the two-disc SUNRISE being the ultimate Sun mother lode). Pairing every extant original master tape with modern mastering techniques, the disc provides excellent-sounding versions of these cherished tracks. Elvis at Sun CD music contains a single disc with 19 songs.